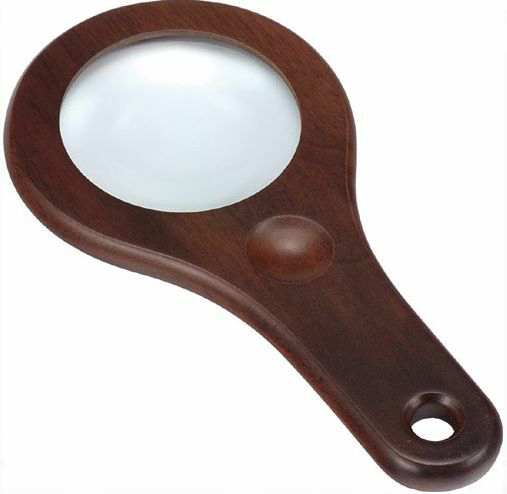 Solid Walnut Wood Handheld 2.5X Glass Lens Magnifier new in box with microfiber cloth storage pouch with draw string closure. The handle has a hole for a lanyard and a comfortable thumb grip. Really excellent quality. Limited quantity. It is 6 inches long and 3-1/8 inches wide and 3/8 inch deep with a 2 inches diameter glass lens. While they last only $14.99 each new in box.